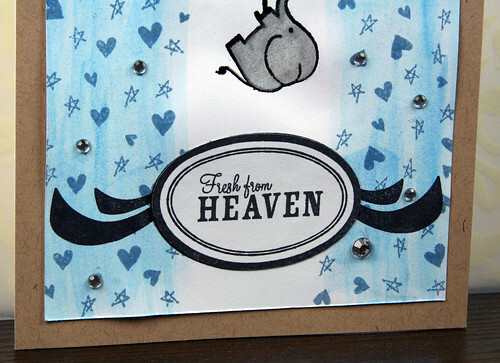 The February Pinkfresh Studio kit came with this cute elephant stamp, which I wanted to use on a baby card. Coincidentally, this week's Simon Says Stamp Monday Challenge is animals (Lions and Lambs, oh my!) and The Daily Marker has a 30 day coloring challenge going on. The stamp comes with hearts and stars above the umbrella, but since I wanted to stamp the hearts and stars as if they were raining down the card, I used a knife to cut apart the hearts and stars part from the elephant and umbrella. (A tiny part of me is like, gasp! for cutting a stamp apart, but it's easy to put it back together for stamping). 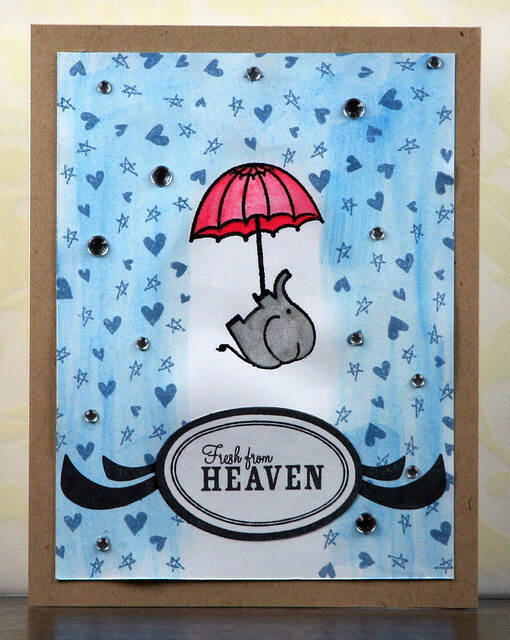 Before stamping the hearts and stars raining down, I quickly added some blue watercoloring to the card, except under the umbrella, to give it a bit more of a raining look. 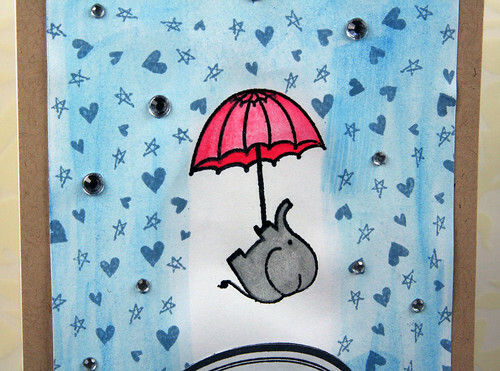 The elephant and umbrella were also colored in with watercolors, and rhinestones from the kit were added here and there. 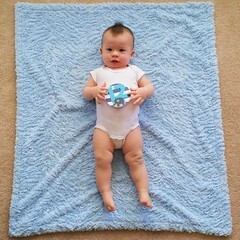 What an adorable image! Love it!